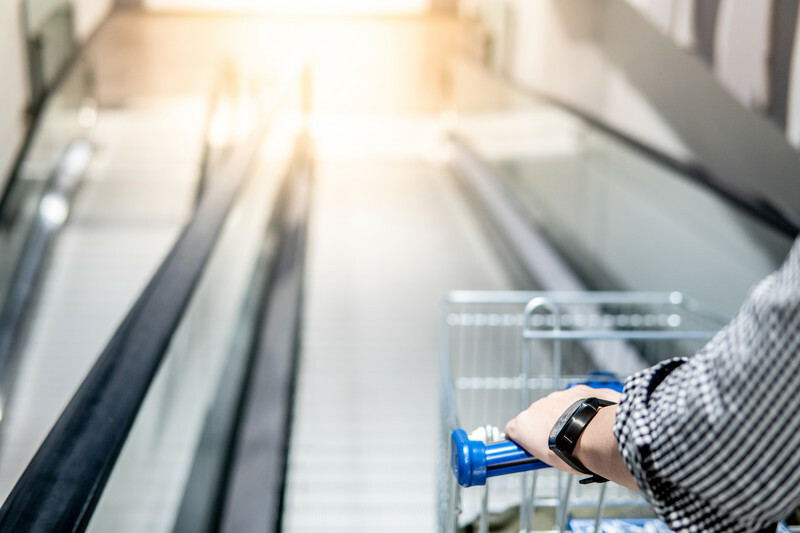 Partner and personal injury specialist, Jonathan West, has won compensation for two children who were injured when a trolley fell on top of them at Sainsbury in Sheffield. Mr Smith called at Sainsbury to pick up a few bits the day before the family was due to go on holiday. He had his two sons with him. T was four at the time and A was two. Mr Smith chose a trolley with a double seat so that he could strap both boys in and push them around the supermarket. The boys’ dad pushed the trolley onto the travellator to go upstairs, the wheels locked into place and the trolley began to move up the travellator. However, to Mr Smith’s horror, when he let go of the trolley for a minute, it tipped backward, over the boys, and landed on top of them whilst they were still strapped into it. Mr Smith shouted out for someone to stop the travellator and a customer did so whilst Mr Smith removed his sons from underneath the trolley. Both boys were distressed and crying and couldn’t be consoled for around 15 minutes. T had hit his head and had cuts on his hand but A had a severe cut on his head. Both boys had bruised knees. Mr Smith took both boys to the dental surgery at the bottom of the travellator and one of the staff dressed their injuries. Sainsbury was made aware of the accident and an ambulance called, which took the family to Sheffield Children’s Hospital, where both children were examined, and A’s injury was glued and steri-stripped. The family went on holiday the following day, but the holiday was spoiled as A wasn’t able to go into the sea and so his brother had no one to play with. Whilst the older of the two boys, T, recovered from his physical injuries fairly quickly, he suffered psychologically and had frequent nightmares. He was unable to go into Sainsbury for around six months, and even when the family did go, he couldn’t go on the travellator for a further three months. The cut on A’s forehead was quite deep so took longer to heal and has left a scar. The boys’ parents contacted Graysons to see if they were able to pursue the supermarket for compensation for their sons’ injuries and Jonathan took up the case. He contacted Sainsbury, but it denied liability. Jonathan had to issue court proceedings, but the supermarket decided to settle the case and Jonathan was able to negotiate a settlement of £2,000 for T and £8,000 for A. If your child has suffered an injury or illness, and you think that someone else was responsible, you may be able to recover compensation for them. Contact our experts now to make a free of charge appointment at which you can discuss the case. You can also find out more about making compensation claims for children on our web pages.